IT’S the 12th animal sign in the Chinese zodiac, and its turn is forecast to bring in an auspicious period in which success in investments — whether in business and personal relationships — is likely to be achieved. The pig sign, after all, is generally associated with good fortune, wealth and honesty. To honor the Year of the Pig, Officine Panerai is serving up a special 88-piece rendition of its Luminor Sealand (PAM 859). The new model becomes the 11th animal, since 2009, which Panerai has dedicated to the Chinese astrological signs (only one more — the Rat — is yet to see its turn). 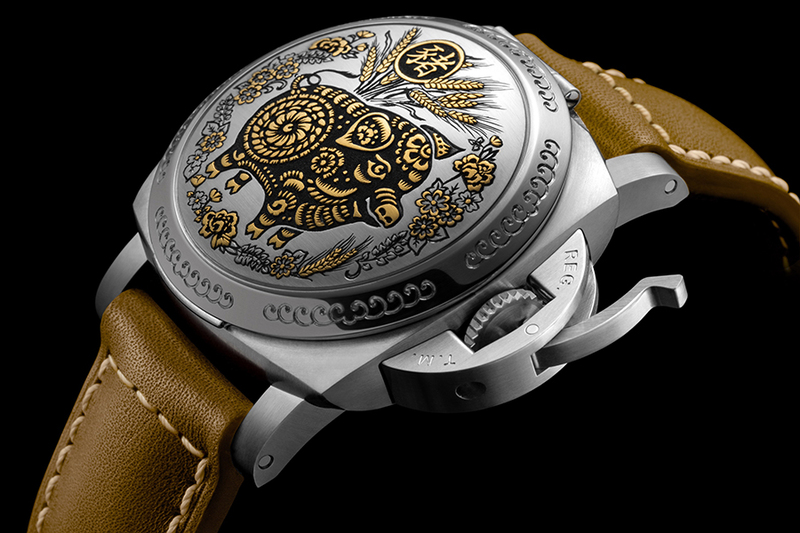 Like in all the previous zodiac watches, Panerai in the Luminor Sealand Year of the Pig model has gone the whole hog in using an artisanal technique to decorate the watch. It’s called “sparsello,” an engraving method practiced by Italian craftsmen, which calls for repeatedly applying layers of gold threads into a steel object that has been previously gouged with a pattern. The gold threads inserted into the grooves are then hammered until these snugly fill the cavity. Apparently, sparsello — it’s actually named after the special tool used in the process — is not as simple as it sounds; the work is reserved for the best engravers as the slightest error could damage all the work previously done. Which would then call for doing everything all over again. 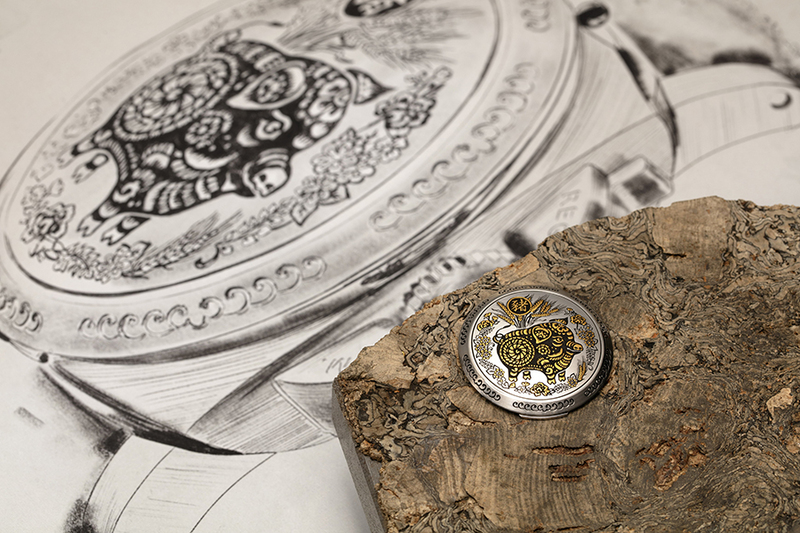 Each of the 88 watches produced for this year’s special edition receives the ministrations of a master craftsman. 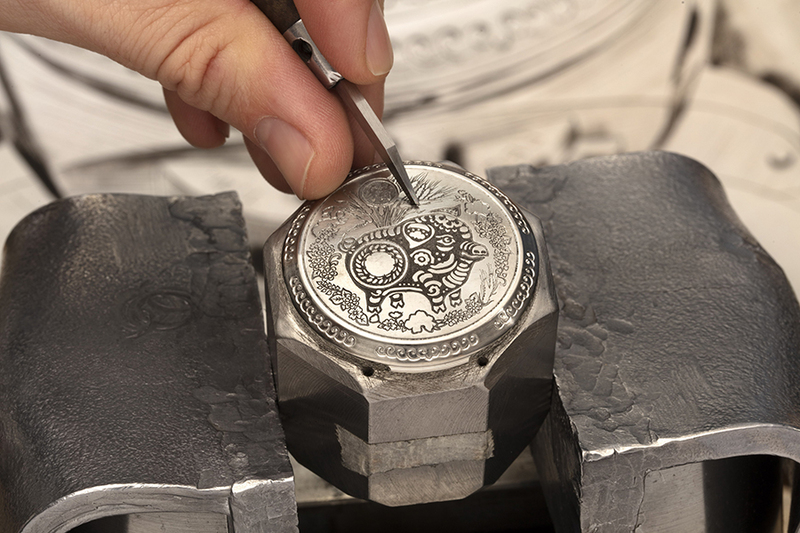 Which means that it’s not only top-notch work that makes it to each watch, but that the ornate engravings are unique in every piece. 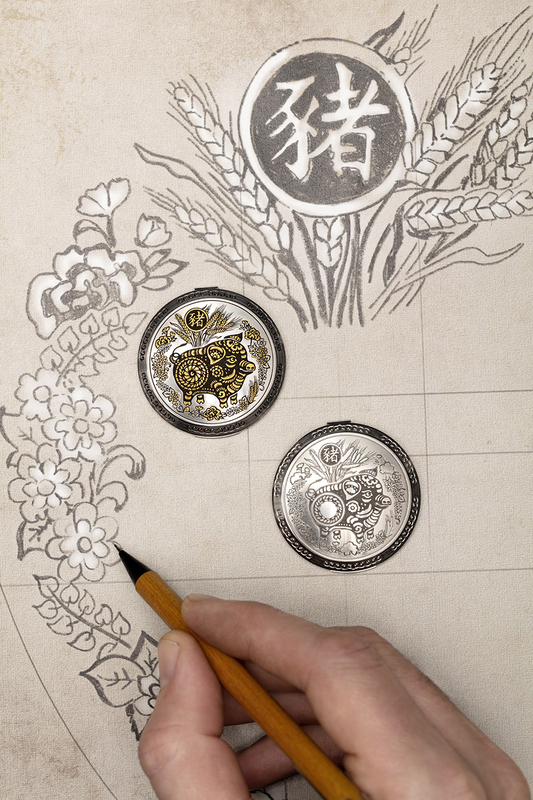 Depicted in the artwork is an image of a pig, executed in a style reminiscent of traditional Chinese iconography. 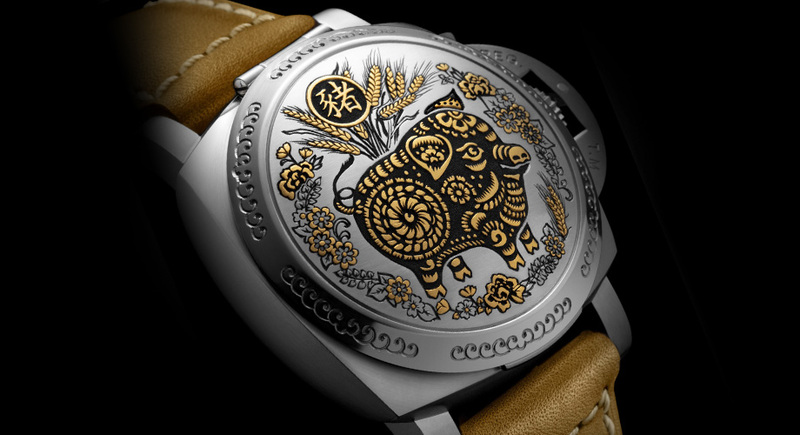 The animal, detailed with oriental motif, is surrounded by a floral pattern symbolizing an auspicious significance. Good fortune, in other words. The tableau appears on a cover hinged over the Luminor Sealand’s dial. The watch’s 44-millimeter brushed-steel case remains unadorned, although the caseback has a sapphire crystal exhibition window. As a Luminor, the watch is fitted with Panerai’s signature crown protector, also made of steel. 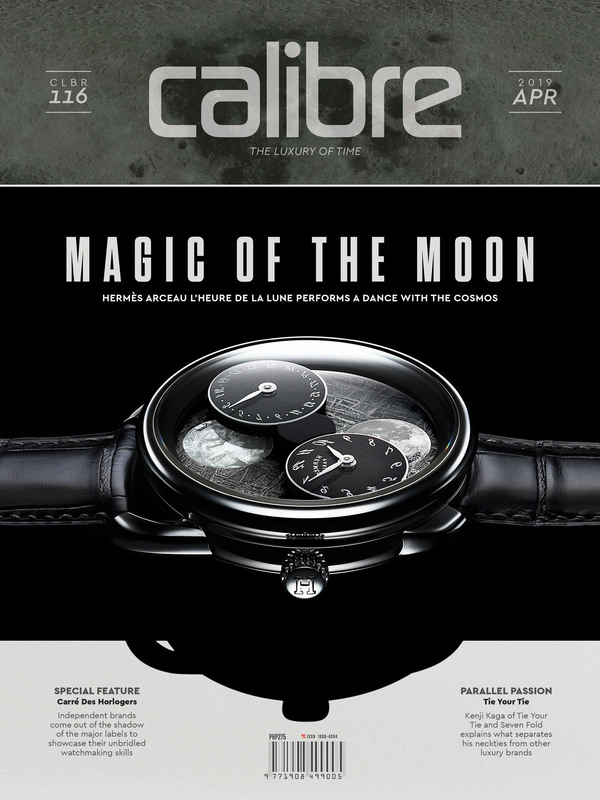 Flipping the cover open (it is hinged from the top) reveals a silver dial on which darker hued numbers and indices sit. Only two numerals are present — 12 and 6 — because a small second subdial resides at 9 o’clock, while a date aperture supplants 3 o’clock. Placed at the tip of the hour indices are luminous dots. The hands are Panerai-typical fat stick ones. A sapphire crystal, formed of corundum, and measuring 1.6 millimeters thick and coated with anti-reflective material, seals the case on top, aiding in the watch’s 100-meter water resistance rating. As a new Panerai, the Luminor Sealand Year of the Pig receives an in-house movement — the self-winding cal. 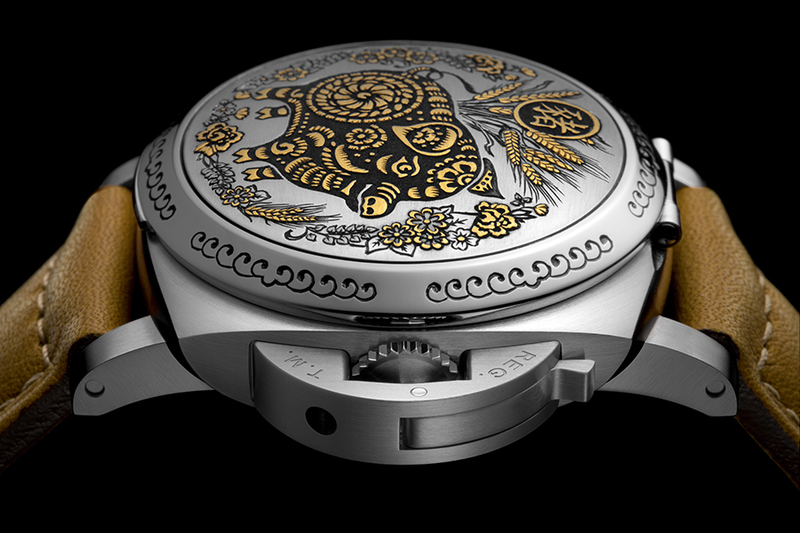 P.9010, which has a pair of spring barrels wound by a bi-directional rotor, allowing for a generous three-day power reserve, an Incabloc anti-shock device and 31 jewels. It spins at 28,800vph. Available solely in Panerai boutiques, the Year of the Pig PAM 859 comes with a brown leather or a spare black rubber strap, as well as a screwdriver and a special tool for changing the strap. This feature will surely suit those born under the Pig sign, for whom enjoying the pleasures of life is a priority.